Michael Lansing, associate professor of history at Augsburg College, was interviewed by Minnesota Public Radio for a segment that compared political movements from the early 1900s with the contemporary political landscape. Lansing is the author of “Insurgent Democracy: The Nonpartisan League in North American Politics,” which presents the history of The Nonpartisan League and describes its continued influence in the upper Midwest. Lansing describes the League as a grassroots organization started by farmers who were discontent with large grain milling and transportation corporations in the region. He told MPR News host Tom Weber that The Nonpartisan League is the reason for the large number of co-operatives in North Dakota today, and the party was comprised of farmers who sought candidates that supported their platforms, regardless of party. Listen to: ‘Insurgent Democracy’ the demise of The Nonpartisan League (14 minutes) on the MPR site. The Nobel Peace Prize Forum (NPPF) presentation by Sister Helen Prejean was rebroadcast the week of March 3 on MPR Presents. Prejean, a Catholic nun and author of “Dead Man Walking,” discussed the need for compassion for death row prisoners. She also called the death penalty debate one of humanity’s largest moral dilemmas. The talk at the 26th annual NPPF was moderated by Tom Weber of MPR. Listen to the presentation on the MPR website. 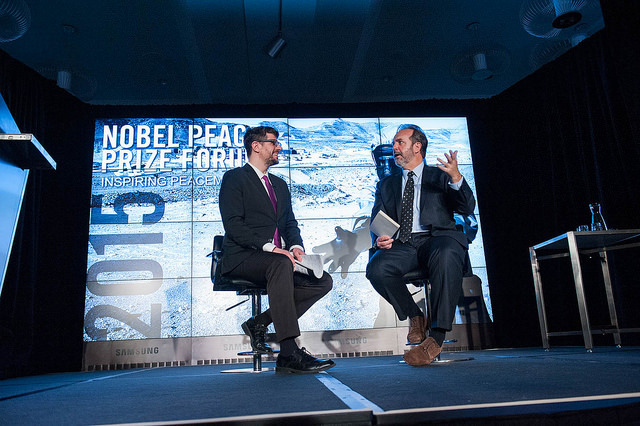 The 2013 Forum features the theme “The Power of Ideas: People and Peace” and offers tracks related to business, arts and music, science and health, education, and global studies. 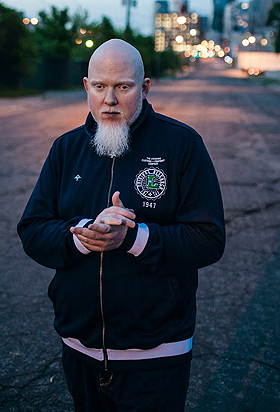 “One of the clear highlights of this year’s Nobel Peace Prize Forum will take place on Saturday, March 9, as a special evening is planned featuring presentations and performances by the acclaimed Minneapolis MC Brother Ali [pictured], as well as Syrian-American rapper/activist Omar Offendum,” according to City Pages writer Erik Thompson. “Ali and Offendum will present TED-style talks on the topic of ‘Hip-Hop and Peace’ and give short performances at Augsburg College’s Kennedy Center,” music reporter Andrea Swensson added.